A brasserie is literally a brewery. In today’s Paris, a brasserie is a restaurant where they sell beer together with food. Most brasseries in Paris are more than a 100 years old, elegant et quite chic. Here is a selection of our preferred brasseries in Paris. Brasserie Bofinger, near Place de la Bastille and Place des Vosges, serves Alsation food since 1864 in a beautiful Empire setting. Read more. La Coupole, the most Art Deco : The Coupole’ dome and pillars were painted by several artists, including Fernand Léger. The place to be should you end up near Montparnasse (at the border between the 6th and the 14th arrondissement). The food served is traditional French cuisine (especially seafood) in a single large room. Le Boeuf sur le Toit, the most jazzy brasserie in Paris. The boeuf does not refer to an ox, but to a jam session also called "faire un boeuf" in French. The decoration is very Art Deco, and even if the jazz musicians are long gone, you will enjoy the traditional brasserie cuisine from seafood to steak tartare and beyond. 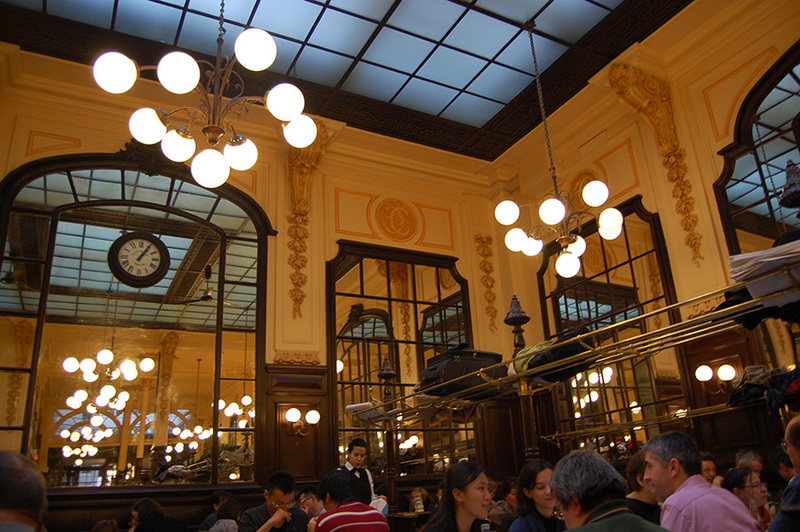 Brasserie Mollard, the most elegant : The brasserie was built by the Moulin Rouge’s architect. The decor is turn of the 1900 century or Belle Epoque when Paris was the thriving capital of the world. Traditional French cuisine. The Mollard is just opposite the St. Lazare train station. Le Bouillon Chartier, the friendliest : This is one of the friendliest brasseries in Paris. Since 1896, the menu has been reasonably priced (10 to 20 Euros for a meal), and the setting is quite remarkable : a single large room, wood furnishings, round lamps cascading endlessly down huge mirrors.